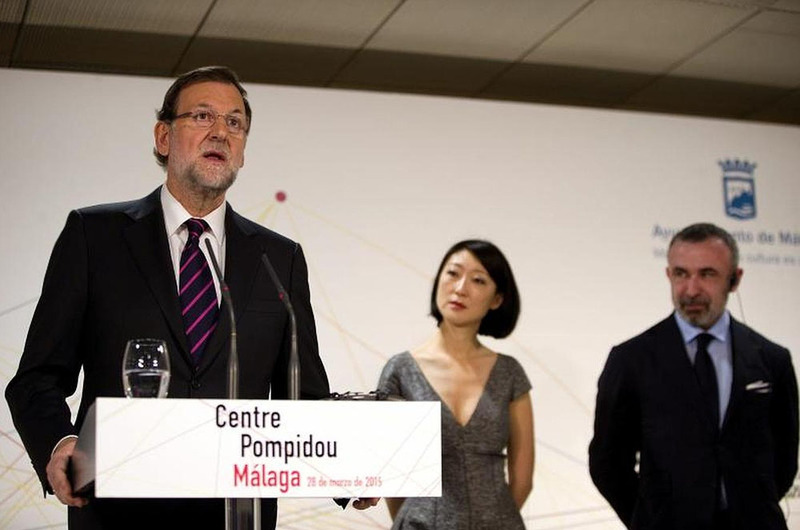 Saturday the 28th of March 2015 was the inauguration of the new Pompidou Center of Malaga. Mariano Rajoy, President of the Spanish government, Fleur Pellerin, French minister of Culture and Communication welcomed the opening. France’s Pompidou Center on Saturday brought dozens of its 20th and 21st century artwork to one of Spain’s most popular coastlines, opening in the Andalusian port of Malaga the first of several international outposts. No fiesta in Málaga ofcouse without native Malaguena Anonio Banderas. The gallery will house works shipped from Paris including paintings and sculptures by Mexican artist Frida Kahlo, German surrealist Max Ernst and Irish-born painter Francis Bacon, as part of a “pop-up” museum that will last at least five years. “(It) gives a fresh impetus to one of our original callings: providing access to the art of our time to as many people as possible,” Alain Seban, the French center’s president, said of the project, which should later be replicated elsewhere. ‘The Cube’ center in Malaga’s Mediterranean harbor will also host works by the city’s most famous son, Pablo Picasso, in a two-and-a-half year display from the Pompidou collection. Rotating temporary exhibits will be held in the museum, whose underground galleries and protruding glass cube are a far cry from the Pompidou’s famed central Paris venue, where multi-colored plumbing pipes, air conditioning ducts and escalators adorn its exterior. Malaga, one of the gateways to the Costa del Sol whose beaches draw millions of tourists every year, has been reinventing itself as a cultural hub, with dozens of museums and an annual film festival. The city will pay 1 million euros a year to use the Pompidou name and borrow the art works. ← More than 1000 guests will attend the inauguration of the Pompidou in Málaga.